I found a nifty little tool online that will turn your photos into ASCII art. So, I decided to plug in a photo of a raven mid-flight and here is what it spit out. ;.-;` / ;., .-'\=\        ,###"
jgs  /   . 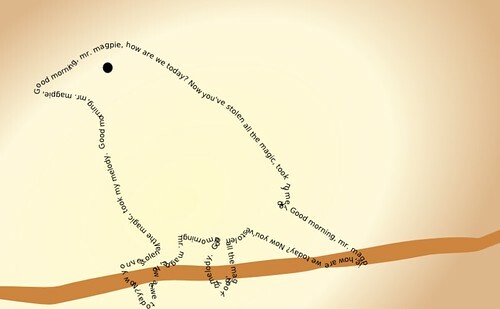 '/  \=\   \=\    ,###"
You can see many more ASCII birds by Joan Stark here.